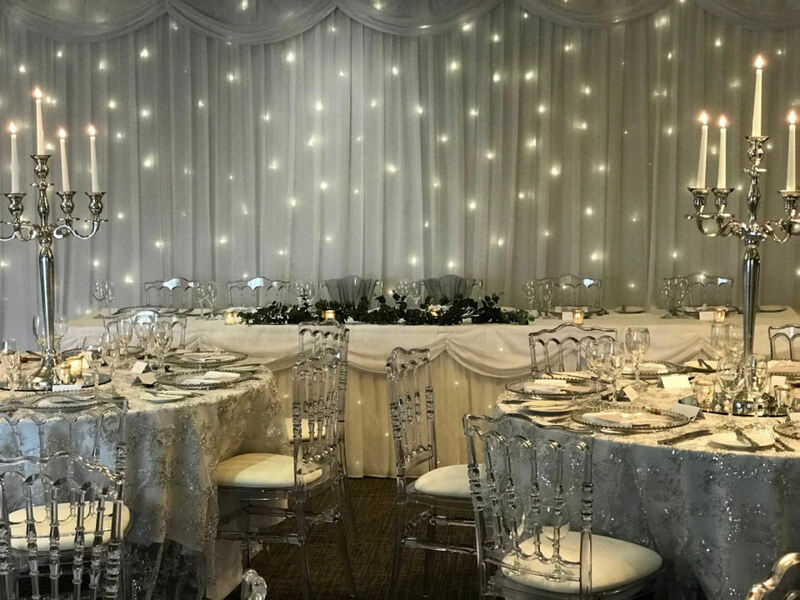 Our twinkle backdrop, top table skirt and wedding arch turn any room into a romantic fairytale setting. For both the service and the reception, your twinkling background will delight your guests and create a picture to remember. We look forward to consulting with you for your initial consultation by phone or in person to discuss your ideas and dreams for your special day. Following this we will work with you to create the image and feel for your room decor and provide a complimentary practice set up of a table to ensure that you will be 100% happy on your wedding day. Our aim is to make your day both beautiful and stress free. We will personally set up your decorations on the day so you can be confident that your venue will be perfectly set up and ready for your arrival.